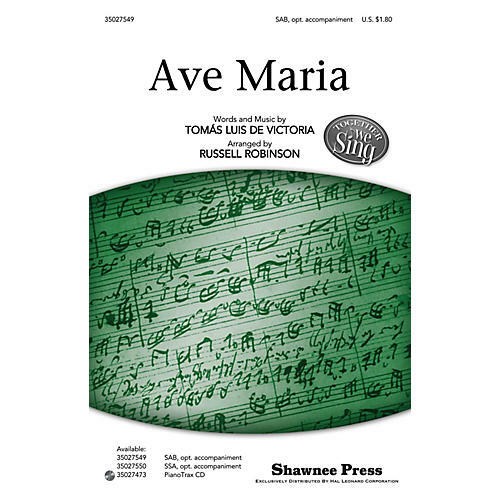 These new SAB and SSA arrangements make the beautiful Tomás Luis de Victoria choral work accessible for younger and smaller choirs as well as treble voices. The optional piano is a supportive accompaniment, offering an alternative to a cappella singing for developing choirs. A timeless classic in choral literature. Available: SAB, opt. a cappella; SSA, opt. a cappella; PianoTrax CD (35027473). Duration: ca. 1:50.